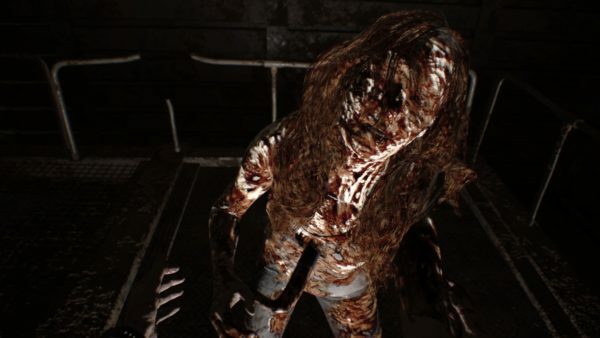 Weapons are key in Resident Evil 7, so it's important to know where they're all located! 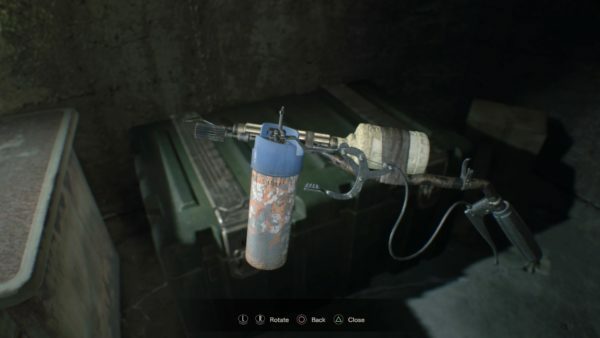 Having weapons in Resident Evil 7 makes the game much easier and it´s also fun to search for hidden items. There is a variety of different enemies throughout the game therefore there is also a variety of different weapons such as pistols, shotguns, smg’s and more. In this feature we aim to provide you with a list of every weapon that have been found so far and we’ll keep you updated if we find new weapons. 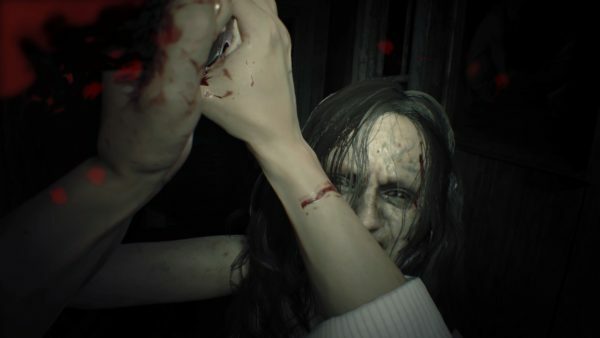 Some weapons in Resident Evil 7 are given to you free but other will come with a price such as completing a boss fight or a mission. 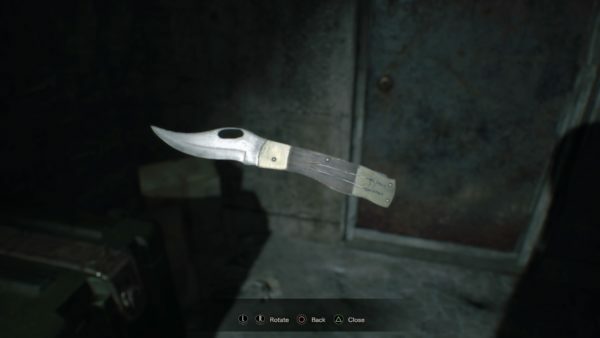 The Knife: The knife is the first weapon that you will acquire in Resident Evil 7 and it’s also very important to have because you need the knife to progress, if you don’t have the knife you won’t be able to progress. The knife can be acquired from the main Baker house. You will receive the knife from the police officer who can be found near the stairs to the basement. 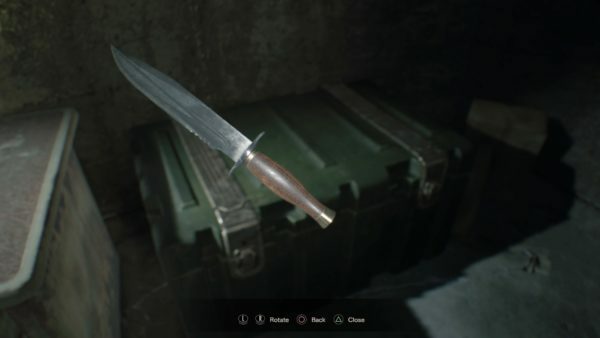 The Survival Knife: The survival knife or Mia’s knife won’t be available until you reach the boat section that is close to the end of the game. Complete the objective and you will gain access to any of Mia’s weapons that you have collected throughout the time with Mia. The survival knife can be found in an item box after you have reclaim control of ethan. The Handaxe: Unfortunately the handaxe can only be used in the prologue but it’s still cool to use. When the prologue starts and, you will get jumpscared and you will be able to find the handaxe on the floor. The Crowbar: Just like the handaxe, the crowbar can only be used once. You will acquire the crowbar as soon as you reclaim control of ethan on the tanker. It wil disappear after using it. The Chainsaw: Just like the handaxe and the crowbar, the chainsaw can only be used once and that is in the second boss fight, the Jack Baker bossfight. 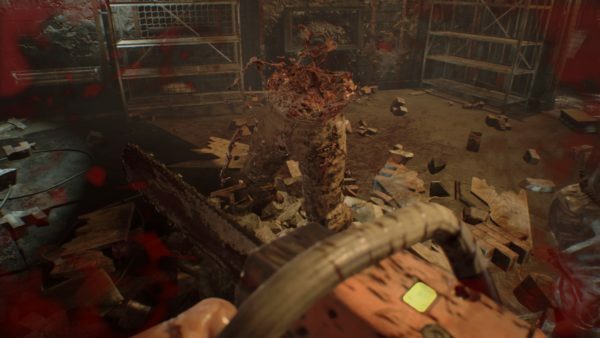 During the bossfight Jack will grab the chainsaw from a cage and you can grab the chainsaw from there as well. You can however unlock it if you complete the game. 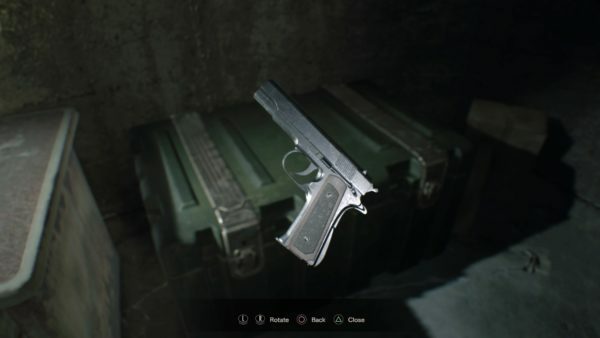 The M19 handgun: The M19 handgun is one of the secret weapons in Resident Evil 7 that you will unlock by playing the game. At one point in the beginning of the game you will find a broken handgun. 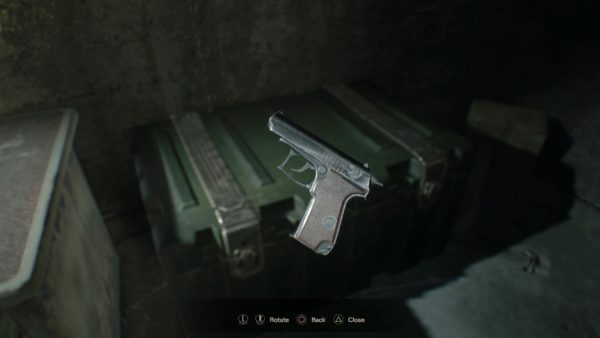 Keep this broken pistol because you will have to use it later. When coming across a treasure photo of a mannequin head wearing a blue hat on top of a steel shelf. You can find this in the upper right hand corner on the second floor of the testing area, here you will find a repear kit to repair the broken gun to acquire the M19 handgun. M37 Shotgun: The M37 Shotgun can be found very early on. Head to the main hall of the baker house. You will find a statue holding the shotgun. You will notice that after you lift the doors lock the gun will be put back in place. You will first have to find the broken shotgun to swap it with the locked shotgun. Make your way over to grandmother’s room, you will need the scorpion key to open the door. Inside of this room you will find a broken shotgun. 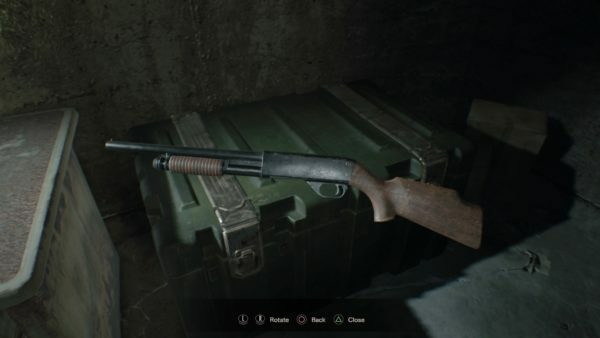 You can use this shotgun to replace it with the M37 shotgun. P19 Machine Gun: Just like the survival knife, this is one of Mia’s weapons to unlock for Ethan. When you are playing as Mia, you are going to be able to the climb a ladder to the 4th floor to get inside of Captain’s room where you can find a locker, this locker requires the captain’s key which can be found in the bottom part of the bunk room on the 2nd floor. Grab the key, head back to the captain’s room to acquire the P19 Machine gun. Once you have claimed control of ethan you will find the weapon in a box. 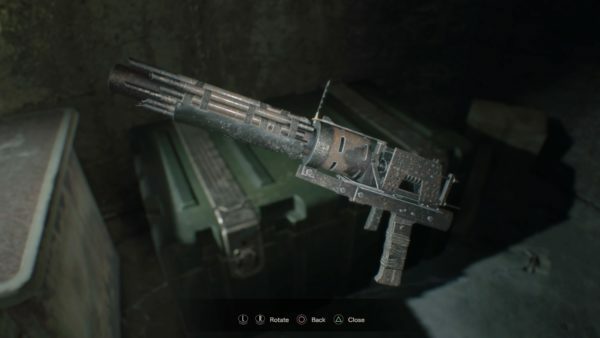 The P19 Machine Gun is one of the best weapons in Resident Evil 7 so it is definitely worth doing this. Grenade Launcher: The grenade launcher can be found in a locked door in an area with no objective or goal to complete. In the south/east corner of the baker house will be a locked scorpion door. Return to this door with the crow key so you can access the room. This room is filled up with ammo, healing items, ammunition for a grenade launcher and of course a grenade launcher. The grenade launcher is perfect for bossfights do make sure to not waste any ammunition for it. Burner: The Burner which is a flamethrower is a good weapon to have for bossfights and to stun enemies with. The burner needs 2 parts: the first part can be found in the porch when you first get in the house. The second part can be found right outside of the light puzzle. The 44 Mag: The 44 Mag will be unlocked as soon as you exit the Backer house. The 44 Mag requires to 9 antique coins which we have covered here [link to coin article here. Once you find yourself 9 antique coins head back to the trailer and place them in the locked birdcage to claim the 44 Mag. 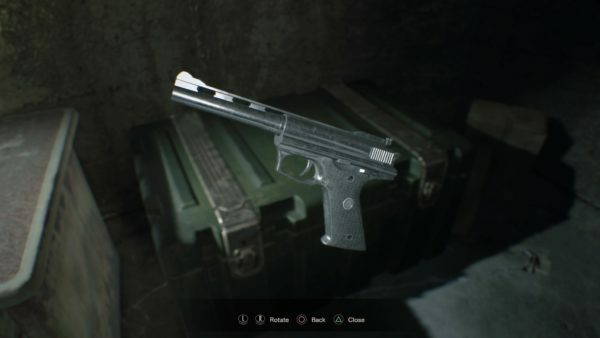 The 44 Mag is also one of the best guns in Resident Evil 7. Ammo for the 44 Mag is also quite rare so make sure to aim when shooting. 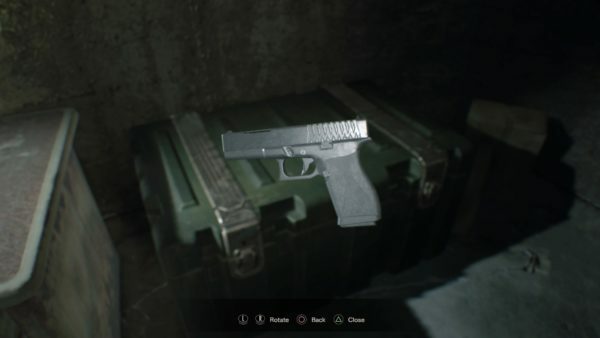 The G17 Handgun: After obtaining the knife find you way downstairs to the open garage and watch someone get killed, he will drop the G17 handgun for you to pick up and use for the bossfight which starts right after picking up the G17. The MPM Handgun: The MPM Handgun will be available as soon you complete Mia’s objective. The gun can be found in the item box. 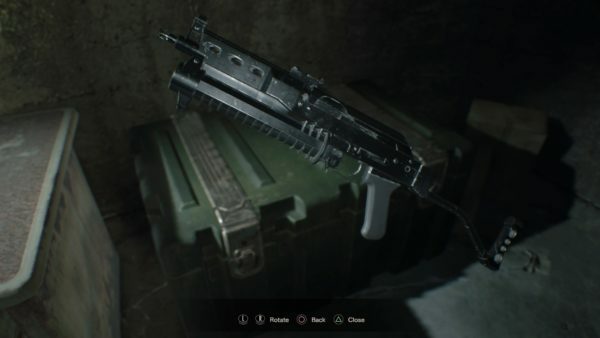 These are all the known weapons that can be found and unlocked in Resident Evil 7, we will update this list when we find new weapons in Resident Evil 7. If you want to learn more about Resident Evil 7 check out our other Resident Evil 7 guides here. Ivar has been playing and enjoying video games since he was young and now shares his passion with millions online. Will Uncharted 5 Ever Release? While Naughty Dog has reiterated many times that they would most likely not release another Uncharted title, there is the possibility of another studio picking it up. Here is a guide on how to complete mission 9 of Ghost Recon: Wildlands. Here is a guide that includes the walkthroughs to every Ghost Recon: Wildlands mission.